The works of the roots of the vines, of the trees, must be destroyed to keep up the price, and this is the saddest, bitterest thing of all. Carloads of oranges dumped on the ground. The people came for miles to take the fruit, but this could not be. How would they buy oranges at twenty cents a dozen if they could drive out and pick them up? And men with hoses squirt kerosene on the oranges, and they are angry at the crime, angry at the people who have come to take the fruit. A million people hungry, needing the fruit- and kerosene sprayed over the golden mountains. And the smell of rot fills the country. Burn coffee for fuel in the ships. Burn corn to keep warm, it makes a hot fire. Dump potatoes in the rivers and place guards along the banks to keep the hungry people from fishing them out. Slaughter the pigs and bury them, and let the putrescence drip down into the earth. I bought a gallon of palm oil from Walmart yesterday. The scientist carrying out the extensive wildlife survey said many of the 87 dead elephants were killed for their tusks just weeks ago - and that five white rhinos have been poached in three months. "I'm shocked, I'm completely astounded. The scale of elephant poaching is by far the largest I've seen or read about anywhere in Africa to date," said Dr Mike Chase from Elephants Without Borders. But these latest killings have been found deep into Botswana - close to the protected Okavango Delta wildlife sanctuary, which attracts tourists from around the world. "People did warn us of an impending poaching problem and we thought we were prepared for it," said Mr Chase, who pointed to the disarmament of the country's anti-poaching unit as a cause. 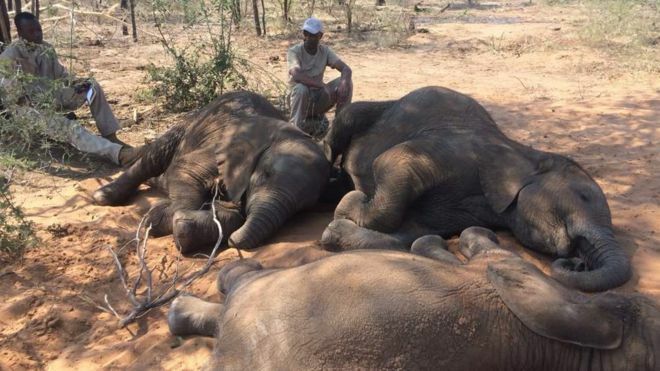 "The poachers are now turning their guns to Botswana. We have the world's largest elephant population and it's open season for poachers. "Clearly we need to be doing more to stop the scale of what we are recording on our survey." 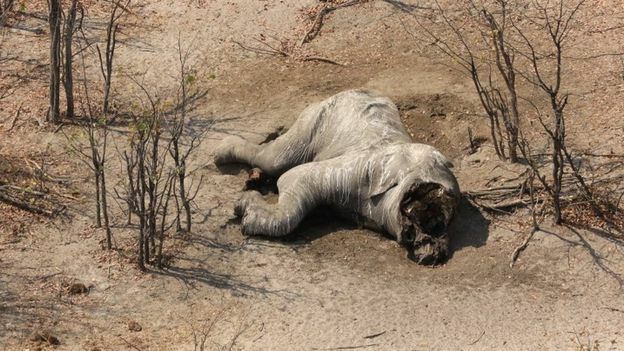 Botswana's 2018 Wildlife Aerial Survey is only half-way through and conservationists fear the final figure of poached elephants will be a lot higher. The survey area is split into sections, or transepts, and the plane flies back and forth like a lawnmower cutting the grass - turning at each end to ensure nothing is missed. "Fresh carcasses" are those lost within the last three months, but many of those recorded had been killed within the last few weeks. Conservationists fear the scale of this new poaching problem is being ignored as it is bad for the country's reputation. the cube will do no such thing.